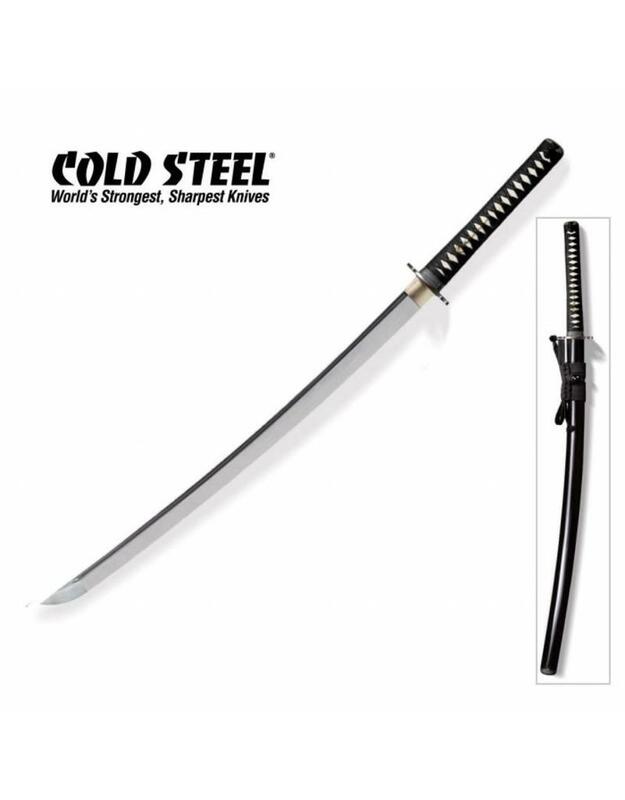 For people looking for a ‘battle ready’ Katana and don’t want to pay mega money for it, the Cold Steel Warrior Katana is a perfect solution. 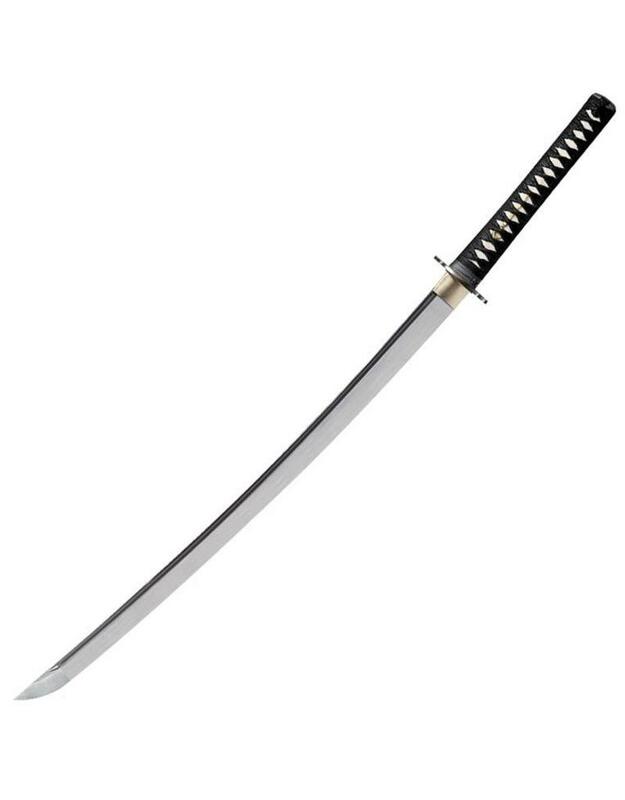 They are a great looking samurai sword and share the same steel, heat treatment and sharpness as the Cold Steel Emperor Katana. 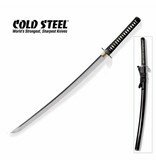 All complete comes with a Black Lacquered Scabbard or Saya and a Blue Cover Bag. 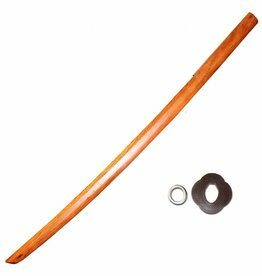 The handle made from Ray skin with a black braided cord wrapping up a brass menuki. 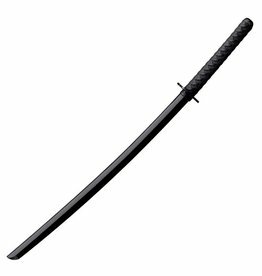 The steel used to make the blade is 1055 Carbon, so extremely tough and all dimensions are very standard for cutting katana. 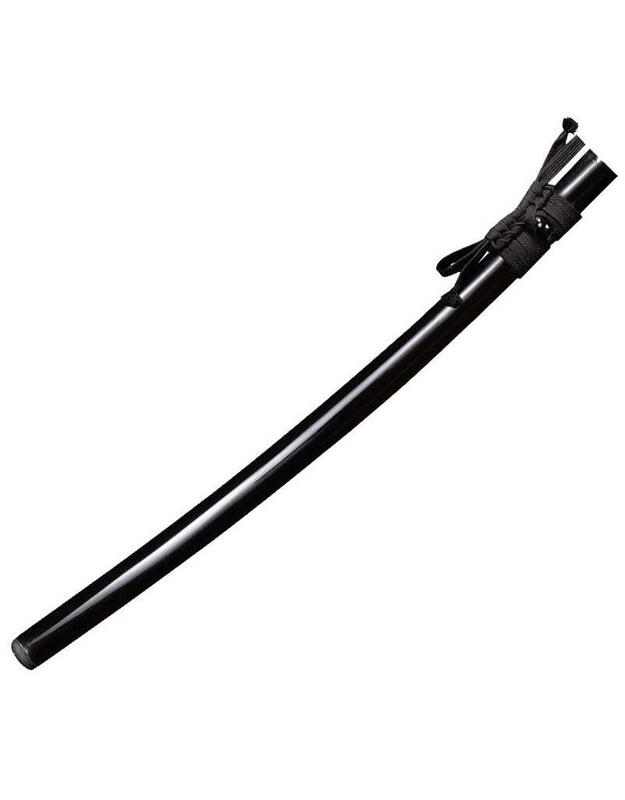 It is a great looking samurai sword and if you’re looking for a tough, sensibly priced, reliable sword for tameshigiri or cutting practice this is a great place to start and you won’t be disappointed. Beware: This is the cheesiest video you have ever watched, not particularly aimed at a European Market, you’ll know what I mean when you watch it. 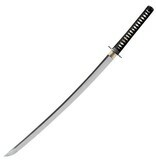 It does however, demonstrate very well what the samurai sword is capable of. 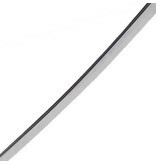 In April 2008, the UK government introduced a Sword Ban, this covered all curved blades longer than 50cm. As part of this outright ban, there were still some exceptions. 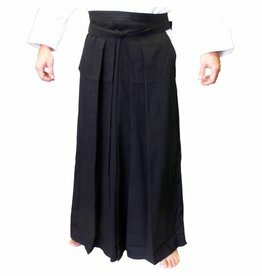 Martial artists could still buy them, any sword made in Japan before 1953 and any sword made in Japan using traditional methods. 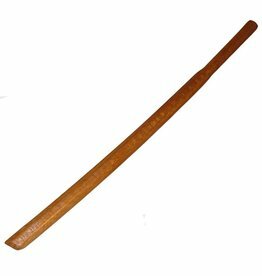 Let’s digress slightly as it’ll be useful in a minute. 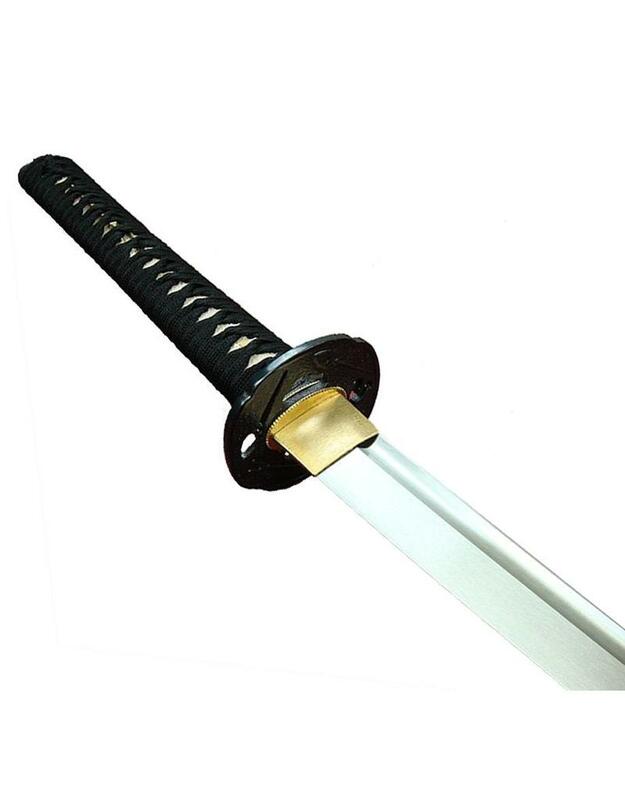 Swords made using traditional methods means being either folded steel or forged steel. 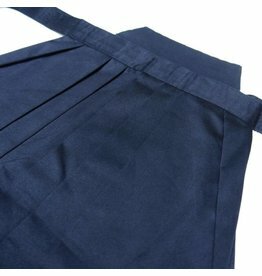 Then a few months later in August 2008, the government revised this ban and decided to take Japan out of the law. 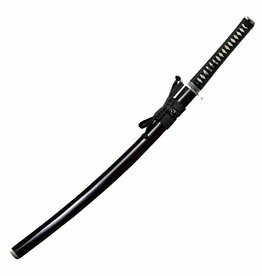 Therefore, any martial arts practitioner can buy a Katana or Samurai Swords, as a shop we are also able to sell the swords as long as they are made with traditional methods. 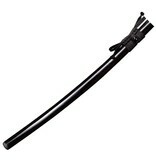 All of the Japanese swords at Enso are either forged or folded. 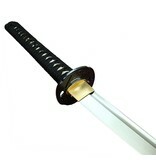 One item that can be an issue is the Iaito as many are made with stainless steel. What the ban has done is clear the market of ‘Junk’. 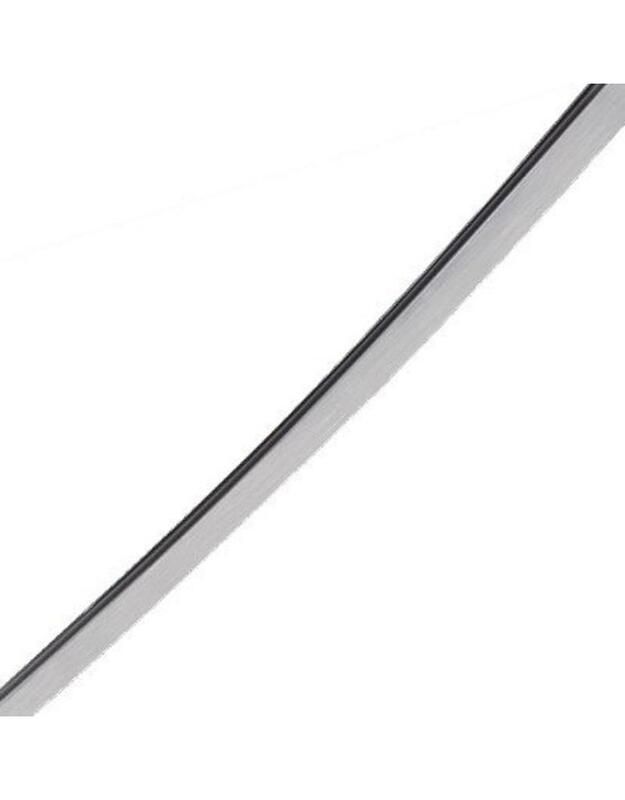 Ornamental poor quality swords that could never be used for training or practice anyway, personally I think this a good thing and get the swords that were ‘on the street’ off and leaves us martial arts practitioner alone and let us get on with our training. Good news all round.